With stores in Falmouth & Liskeard, Devon and Newton Abbot, Devon, Trago Mills is a discount retailer offering kitchens and bathrooms, building supplies, household furniture and much more. Their website now offers a Click & Collect service, allowing you to choose from the thousands of great value products online just as you do when shopping in-store. Electricals, including fans, kettles, toasters and appliances like fridges, freezers, cookers, washing machines and vacuum cleaners. Trago Click and Collect is a great way to reserve your purchases and collect from your chosen Trago store. They also offer a Home Delivery service across Cornwall and Devon. 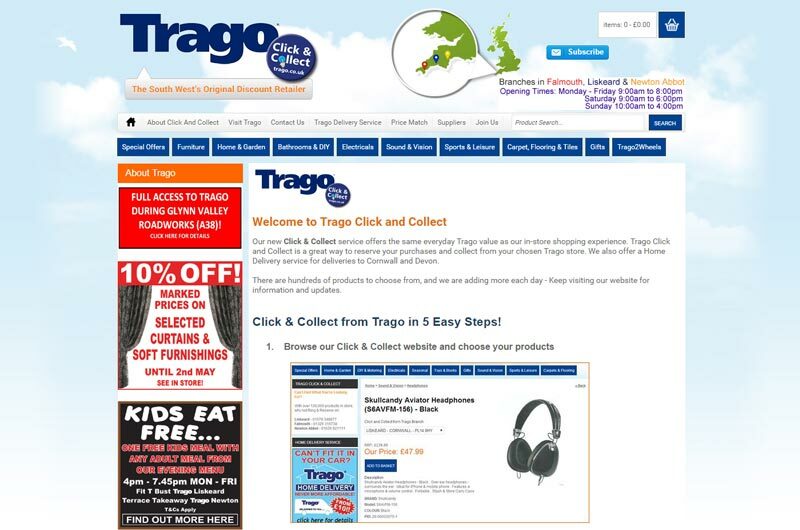 Visit www.trago.co.uk to browse products, find your nearest shop, or buy supplies online.